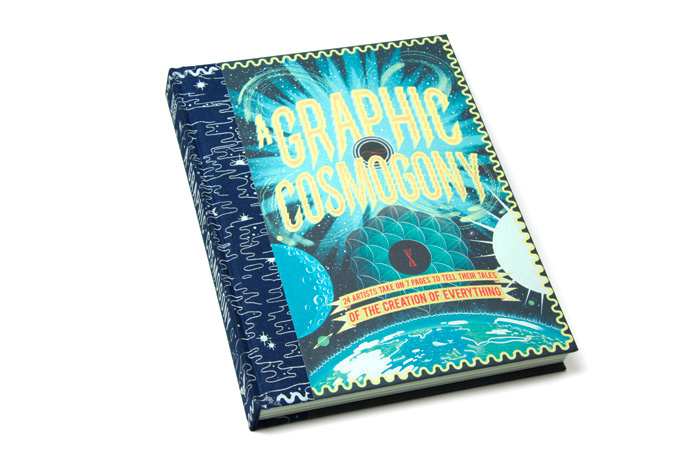 This month London based publisher Nobrow launch their most ambitious publication yet, the story of creation retold by 24 international artists in A Graphic Cosmogony. Contributing artists include Brecht Vandenbroucke, Ben Newman, Jon McNaught, Stuart Kolakovic, Mike Bertino, Mikkel Sommers, Jack Teagle, Andrew Rae and many others. 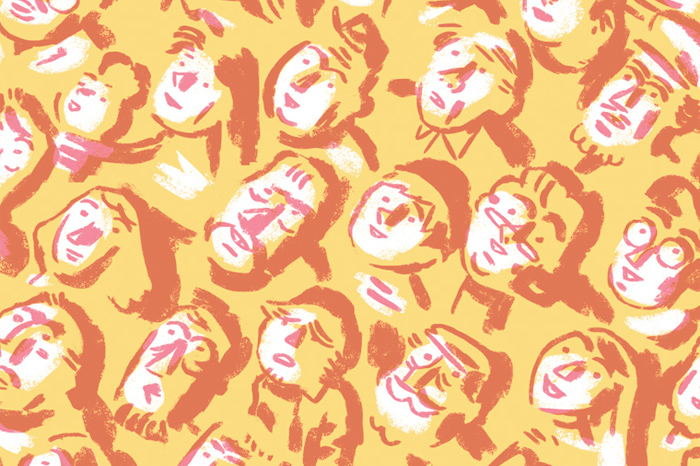 To mark this occassion, a free book launch party will be held at the Nobrow Gallery at 62 Great Eastern Street, London W10A 3QR, on Thursday 25 November, which is part of the 2010 Comica Festival. This event also coincides with at the opening of the new Nobrow exhibition Murmuring Landscapes featuring Jon McNaught and Rob Hunter, whose prints will also be available for sale. Temporama takes place in a city where, like any concrete jungle, technology favours the privileged, and nature is quarantined like a virus. A silent picture story told during one night of primal urges and strange happenings, Temporama is a beautifully simple tale told in Clayton’s trademark bold graphic style. Clayton’s cinematic flair shines through in a tale that almost pays homage to the art house short film, a format that very often touches the realms of a fantastic reality. This is his first individual foray into the field of graphic storytelling but will certainly not be his last. A more apt name could not be found for the often silent and serene work of the two artists, who share a studio in Bristol. Both avid printmakers Jon and Rob are responsible for our very first selling exhibition at the gallery to be exclusively dealing in prints: lithographs, screen prints, letterpress embossing, you name it, it’ll be there. This is also your chance to bagsy yourself a signed copy of either Birchfield Close or the newly released Pebble Island. 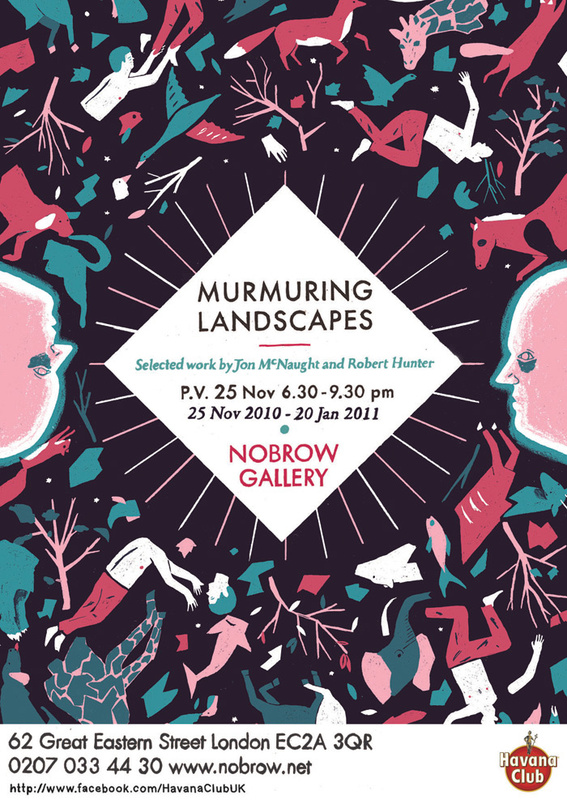 Murmuring Landscapes will run until the end of January 2011, so if you didn’t make it to the private view then don’t get you knickers in a twist, there’s still plenty of time. BELA LUGOSI by Paul Paetzel for sale from tomorrow! Howdy folks, so we were hoping to release this for Halloween, but spooky forces prevented us from doing so. So here it is now, the very first copy of our next screen printed edition, Bela Lugosi by Paul Paetzel of Biografiktion (a prolific collective which also comprises artists Till Hafenbrak and Ana Albero). 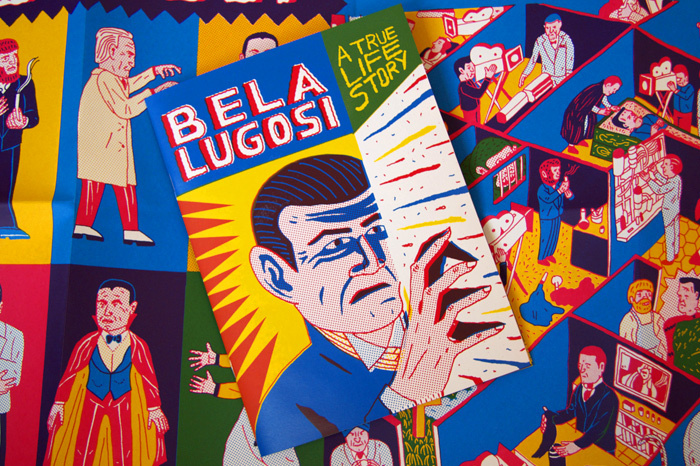 The talented trio from Berlin were kind enough to collaborate with Nobrow to release some of their stellar comics and screen printed zines as UK editions – the first of which being this ‘true life story’ of the infamous Bela Lugosi, the actor responsible for early screen adaptaions of Dracula, Frankenstein and The Wolfman. In a career spanning 40 years and 110 movies, he came to define what we think of as classic horror. But don’t take my word for it, come to the shop and see the very first bound copy of the book now.